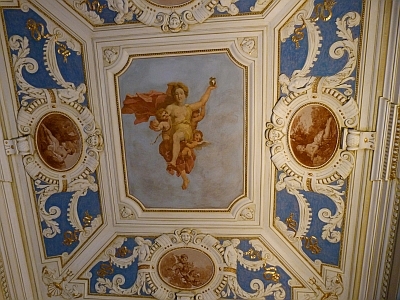 "Villa Devoto" Bed&Breakfast is a private residence, protected by the Italian Fine Arts because of its internal and external frescoes. 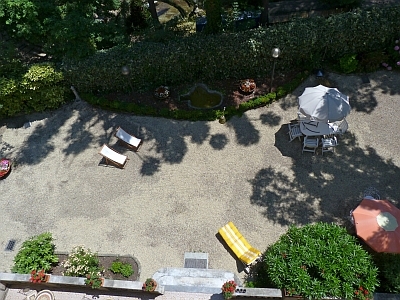 It is situated right in Rapallo historical centre, within walking distance from the train and bus stations, connecting Genoa in about half-an-hour. Genoa deserves to be discovered: its typical alleys, superb buildings, the largest aquarium in Europe, museums and theatres. Forget about driving: leave you car in the Villa's garden private parking and feel free to walk around without worrying about your car. 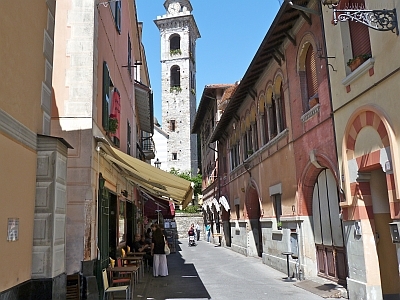 Open the gateway and you'll find yourself in Rapallo shopping and night life district. The three rooms with en-suite bathrooms, TV and air conditioning are located on the 1st, 2nd and 3rd floor of the Villa. Families up to 5 people can be accommodated in connecting rooms. 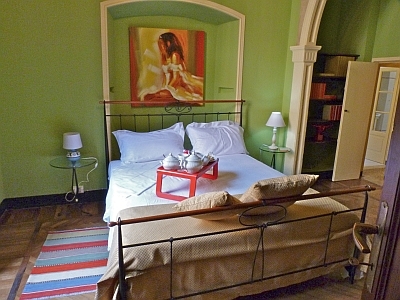 The rooms are dedicated to Poetry, Painting and Music: they will enchant your life as these arts do and thus make your stay unforgettable. 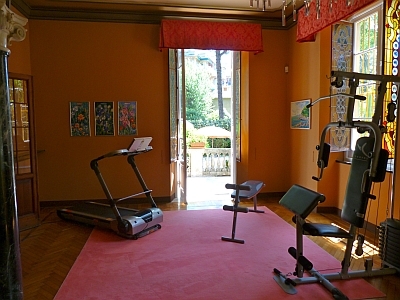 Common areas include TV-room, library and a fitness centre. Outdoor children playground in the garden. Deckchairs and sunbeds to relax. Outdoor breakfast service or in the Villa's cosy breakfast room: you won't miss the typical Genoese "focaccia" and our home-made cakes! GIOVANNI WISHES TO MEET ANY REQUEST AND HOPES TO BE REGARDED AS A NEW FRIEND.